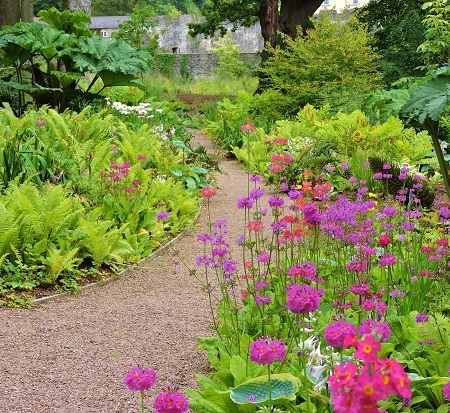 Aberglasney was made famous by the BBC television series ‘A Garden Lost in Time’ which followed its restoration. 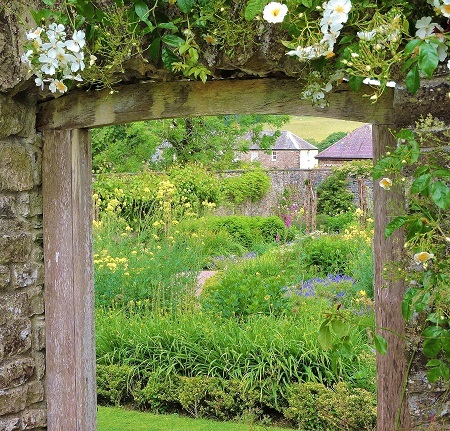 Today Aberglasney Garden is simply one of Wales’ finest gardens and surround a historic house built in the 1600s. The garden and architecture are unique survivors not seen elsewhere. A renowned plantsman’s paradise with a unique Elizabethan cloister garden at its heart, Aberglasney offers the opportunity to explore more than 10 acres of ancient gardens as well as an award winning indoor garden. There are various areas with hundreds of different and unusual plants. The Stream Garden and Pgeon House Woods are to one side of the walled garden and there are good displays of bluebells in April. 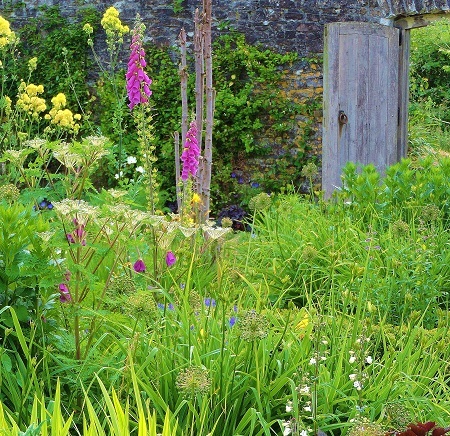 The borders here are much more informal in design and are a mass of colours especially in June. There are 2 walled gardens, the lower garden is used for vegetables, whilst the higher one was completely revamped by Penelope Hobhouse giving the form of a celtic cross. We could go on and on but other highlights include the Sunken Garden, The Asiatic Garden, The Rose Garden, and The Ninfarium. The ground floor of Aberglasney’s grade II* listed mansion has been fully restored and is a stunning venue for exhibitions and events throughout the year. A garden not to be missed and worth travelling to see, you could combine this visit with the National Botanic Garden of Wales just 20 minutes drive away. 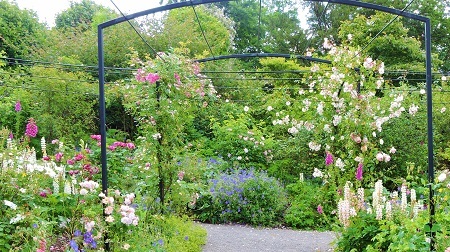 2019 Aberglasney is open daily all year -see website for more details of dates and times. Excellent café, shop and plant sales open all year. Disabled access to majority of gardens. If you want find places to stay near Aberglasney Gardens, why not stay in one of our recommended hotels. Each hotel has genuine guest reviews enabling you to book from anywhere in the world in total confidence. 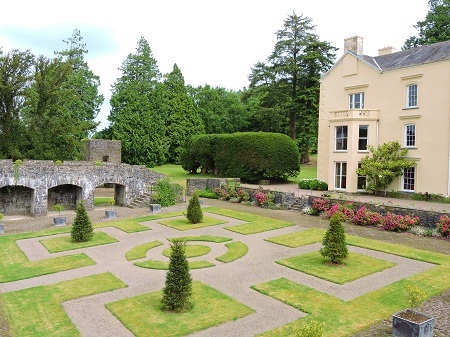 Look now for hotels near Aberglasney Gardens - click here.